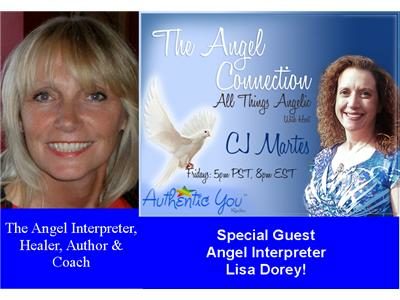 CJ welcomes Lisa Dorey to the Angel Connection this week. She's excited to have Lisa share her story about how her life suddenly shifted from the corporate world to the angelic world during a fateful stroll through the forest one special day. Don't forget about the Angel Message of the Week and Inspiring News at the start of the show. The last segment of the show is reserved first come, first serve basis for Angel Readings with CJ. Call toll-free during the show: 1-877-296-0345.